Welcome. 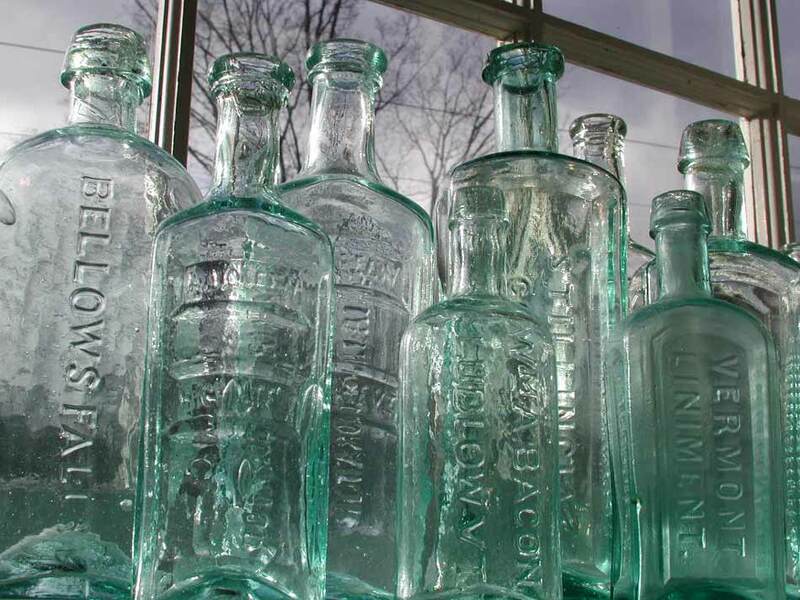 This website is dedicated as a resource and forum for collectors of Vermont antique medicine bottles and of course all antique bottle collectors. The site will be actively compiling (with your help) a check list of early Vermont Medicines. 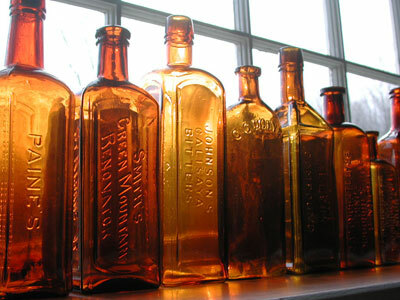 This site will also provide a venue to buy, sell and trade early Vermont Medicines and other antique bottles as well. Whether you are in search of a specific Vermont Medicine or looking to sell one bottle or a collection, we can help you. We Buy Bottles, we will purchase single items or an entire collection. We can also sell your bottles for you in our consignment "sale" section. The “For Sale” section now contains antique Vermont Medicines for sale as well New York Medicines and other antique bottles for sale. If you are interested in one or many, contact us. In some cases, we have room to negotiate on our prices. Please feel free to make an offer or ask for our best price. Layaway is also available. Take a look at the VT Medicine Checklist, maybe you have an early Vermont Medicine that is not currently listed on the site – send us your info and photo (if possible) to info@VTMedicines. Be sure to check back regularly and see what is new, happy collecting.